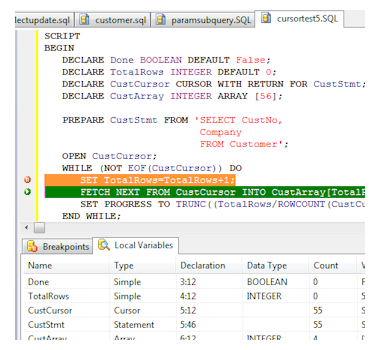 You can directly access and update a table or view using the EDBCommand class along with the EDBDataCursorclass's properties/methods such as ReadFirst, ReadNext, ReadPrevious, ReadLast, Locate, Filter, Insert, Update, and Delete. 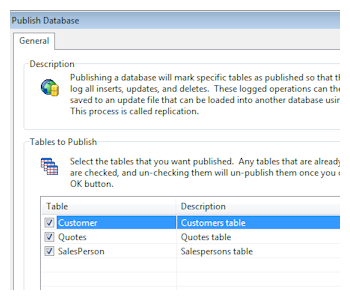 You can access and update tables using SQL, the EDBCommand class, and the EDBDataCursor class. Bothsensitive and insensitive result sets can be returned from any SELECT statement, and you can access and update any result set using the EDBDataCursor class's properties/methods such as ReadFirst, ReadNext, ReadPrevious, ReadLast, Locate, Filter, Insert, Update, and Delete. This gives you the best of both worlds, without sacrificing performance or functionality. 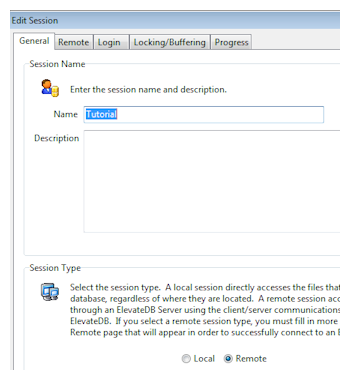 ElevateDB is engineered to support both types of access, so you will not encounter performance issues when browsing large tables or selecting a single row for update with the EDBDataCursor class. The DECLARE statement can be used to allocate cursor and statement objects that can beprepared and then opened. 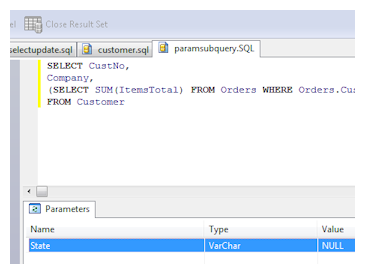 This allows one to prepare a specific parameterized statement once, and then execute it multiple times with parameters. Cursors are bi-directional, can be sensitive or insensitive, and can be returned as a result set cursor by stored procedures and scripts. Cursor operations supported include fetching(first, last, next, prior, relative), inserting, updating, deleting, refreshing, and retrieving the row count. Individual tables can be configured topublish their updates, and published updates can be compressed in order to conserve space. 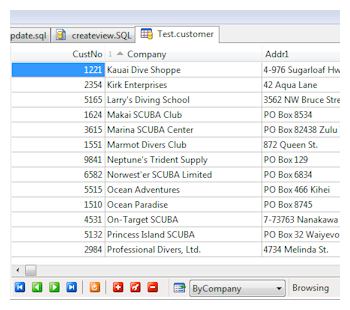 You can specify how many rows theEDBData Reader or EDBData Cursorclasses read in each Read, ReadFirst, ReadNext, ReadPrevious, ReadLast calls, as well as any other navigation on a table, view or result set, by using the RowsToRead property. This property value can be dynamically adjusted at any time, thus allowing the developer to select the optimal number of rows to read for each operation.